DP Medical’s supplier, Xoran Technologies, will be demonstrating its products at the prestigious American Academy of Otolaryngology’s – Head and Neck Surgery’s (AAO-HNSF) annual meeting in Chicago this month. The AAO-HNSF, which represents ear, nose, throat, head and neck physicians and surgeons across the USA, is holding its annual meeting from 10-13 September 2017 and Xoran Technologies LLC, who recently named DP Medical as a distributor for UK & Eire, will be there. Xoran, who will be at Booth 729, will have equipment for demonstration and would welcome a visit by any UK delegates who are planning a visit. Renowned for delivering high resolution, low dose imaging of the sinuses, temporal bones and skull base, the mobile, self-shielded xCAT scanner is ideal for use in theatres, whereas the MiniCATIQ – with its compact design – enables the user to perform CT scans at the patient’s point-of-care, within an office environment. The deal marks a step forward for DP Medical, into the ENT operating room market. Commenting on the agreement recently, Owen Pemberton – commercial sales director at DP Medical, said: “This is a very exciting development for our organisation and cements our position as a market leader when it comes to ENT surgical procedures. “The Xoran scanners fit perfectly within our portfolio of high-quality, state-of-the-art ENT products. They’re very versatile and have great mobility, as well as being very user-friendly. Dr. David Sarment, President of Xoran Technologies LLC, said: “We selected DP Medical through a United States export process which unveiled to us a dedicated and very focused company with significant experience in distributing high-end medical equipment. 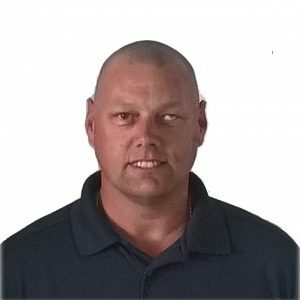 “Our companies are a great match as our unique scanners complement DP Medical’s existing range of high-end devices and is able to meet many of their customers’ ENT requirements – both in offices and operating rooms. Leading healthcare medical supplier, DP Medical Systems, has announced plans to shift its attention in the dental magnification market to focus on the latest microscope technology. Douglas Pitman, managing director of DP Medical Systems, said: “The dental microscope market has been developing fast over the last few years and we are proud to have been on that journey as suppliers of the new Global A series microscope which we feel represents the very latest in dental microscope technology. “Throughout this time, we have also provided quality loupes and lights to thousands of dentists. However, it has become clear that the need for advanced systems such as Global microscopes is now superseding the more basic forms of magnification and, therefore, we have taken th e decision to no longer provide loupes as part of our product range. “We appreciate this may be disappointing news for some of our loyal customers but the advancement of microscopes with their enhanced design, affordability, first class quality and the service and support available, has been widely accepted by dental leaders both here in the UK and internationally. Jeff Metcalf, international sales manager at Global Surgical Corporation (GSC), said: “Dentists are increasingly opting to use higher magnification to diagnose and treat their patients. This global trend can be traced to greater awareness of the numerous benefits of the microscope and, as a leading dental microscope manufacturer, we have witnessed this change first hand. Surgitel will continue to supply Loupes to UK customers through a new distributor. A leading UK healthcare supplies firm has been selected by the United Nations Office on Drugs and Crime (UNODC) to provide state-of-the-art forensic examination equipment in Egypt. DP Medical Systems, based in Surrey, has now installed its MediScan software and HD video Colposcope in both Cairo and Alexandria to further develop the ability to record and document sexual assault and abuse in the North African country. MediScan, developed by DP Medical, provides clinicians with a secure pathway for recording, storing and encrypting patient gynaecology examinations for analysis and archiving. The still images and video are captured in real-time and stored against the patient record for retrieval anywhere in the hospital. The Video Colposcope is an advanced high resolution video camera with integrated high intensity LED illumination. The equipment provides a compact stand-alone solution for true video and still images in the forensic gynaecological field. Yomna Abou Hussein, Programme Assistant at UNODC, said: “UNODC is working on a project which aims to improve the criminal justice response to cases of violence against women in Egypt. We therefore work with governmental authorities that are involved in the criminal justice system such as the Ministry of Interior, the Ministry of Justice, the Prosecution and the Egyptian Forensic Medicine Authority (FMA). “We have worked with FMA on establishing a specialised clinic within the authority specialised in receiving female victims of violence due to the importance of forensic evidence in these types of cases. Currently there is one clinic in Cairo and another in the FMA’s premises in Alexandria and each has one colposcope and MediScan software. The equipment has been very helpful to the FMA given its advanced technology that will enable the forensic practitioners to effectively collect evidence which would be later presented during the judicial process and will surely play a key role in the proceedings. 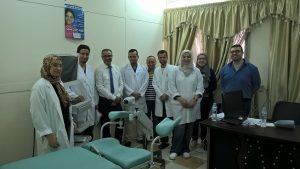 Rob Hampson, from DP Medical, who travelled over to Egypt to complete both the install and staff training, said: “We were honoured to be selected by UNODC to supply our MediScan software and HD Video Colposcope to locations in Cairo and Alexandria. This is the culmination of many months of work so it is fantastic for everyone involved for the equipment to be up and running as it means this innovative technology can now be used to help those that need it. The staff were very welcoming and attentive to all aspects of the Mediscan training which, I hope will benefit many. Leading healthcare supplies company, DP Medical Systems, has signed an exclusive deal to represent one of the world’s leading medical imaging firms, Xoran Technologies LLC, across the UK & Ireland. 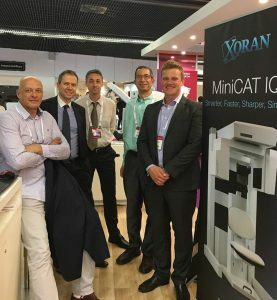 The American-based firm has named DP Medical as its distributor for UK & Eire, specifically for its industry-leading compact and portable xCAT and MiniCAT IQ CT scanners. Commenting on the agreement, Owen Pemberton – commercial sales director at DP Medical, said: “This is a very exciting development for our organisation and cements our position as a market leader when it comes to ENT surgical procedures. Pioneering ENT technologies from across the globe are set to be showcased at a prestigious event in Paris this month, when many of our partners and suppliers demonstrate their offering at the IFOS World Congress 2017. The congress, which takes place at the Palais des Congres from 24-28 June, sees DP Medical partners XION Medical, Entermed and KAPS hosting exhibition stands and product demonstrations. And our renowned transnasal oesophagoscopy (TNO) technology will be showcased at the event too, when Dr George Garas and Mr Mriganka De deliver a practical, hands-on session for delegates on Monday 26 June. Speaking ahead of the congress, Owen Pemberton – commercial sales director at DP Medical Systems, said: “It’s great to see so many of our partners and suppliers leading the way at this year’s IFOS World Congress. “The world of ENT is full of innovation at present and we’re proud to be working closely with the market leaders to source and supply our clients with the very best products and equipment. 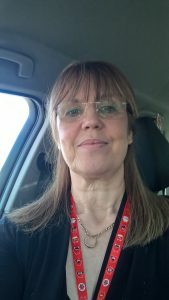 “We’ll be attending the event too, to support each of our partners and help spread the word about the range of pioneering ENT products and supplies we can offer, together. “Not only will XION, KAPS and Entermed be demonstrating their products’ impressive capabilities in the ENT field throughout the five-day event, we’re also looking forward to supporting two world-leading experts with their delivery of a hands-on transnasal oesophagoscopy (TNO) demonstration. For further information about the IFOS World Congress 2017, visit www.ifosparis2017.org. At stand 2.04 on level two at the Hall Maillot, XION Medical will be highlighting its EndoSURGERY 3D/4K system, the EndoSTROB PL Spectar with HD 3D Stroboscopy and the flexible HD chip-on-tip video nasopharyngoscope model XN-HD, as well as the flexible scope and XION’s new platform, Spectar P with PIET, HD, 4K and 3D technology. Also in the Hall Maillot, at stand 2.27, KAPS will be showcasing its full range of ENT microscopes and accessories, including the LEDone – a stand-alone, innovative lighting system that offers a long-lifetime, adaptable light intensity and a compact design. And in the Hall Havane, Entermed is exhibiting at stand 3.20, demonstrating its Futurenet ENT unit, which comes with a glass worktop and is ergonomically designed to simplify ENT OPD procedures and reduce user fatigue in the ENT consulting and treatment rooms. Owen added: “Not only will XION, KAPS and Entermed be demonstrating their products’ impressive capabilities in the ENT field throughout the five-day event, we’re also looking forward to supporting two world-leading experts with their delivery of a hands-on transnasal oesophagoscopy (TNO) demonstration. 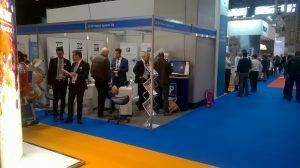 A team from DP Medical Systems was on hand at the prestigious Dentistry Show last week. 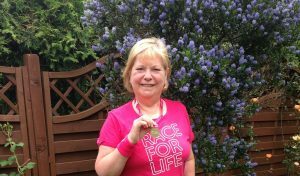 The event, hosted on 12-13 May 2017, was held at the NEC Birmingham and offers diverse learning opportunities and an outstanding line-up of internationally renowned speakers. It also features a 400-strong trade show packed with on-stand exhibitor learning, fun activities and the chance to network with like-minded professionals from all corners of dentistry. “We were able to showcase our latest loupes, lights and microscopes and it gave us the opportunity to network with contacts old and new from across the dental industry.